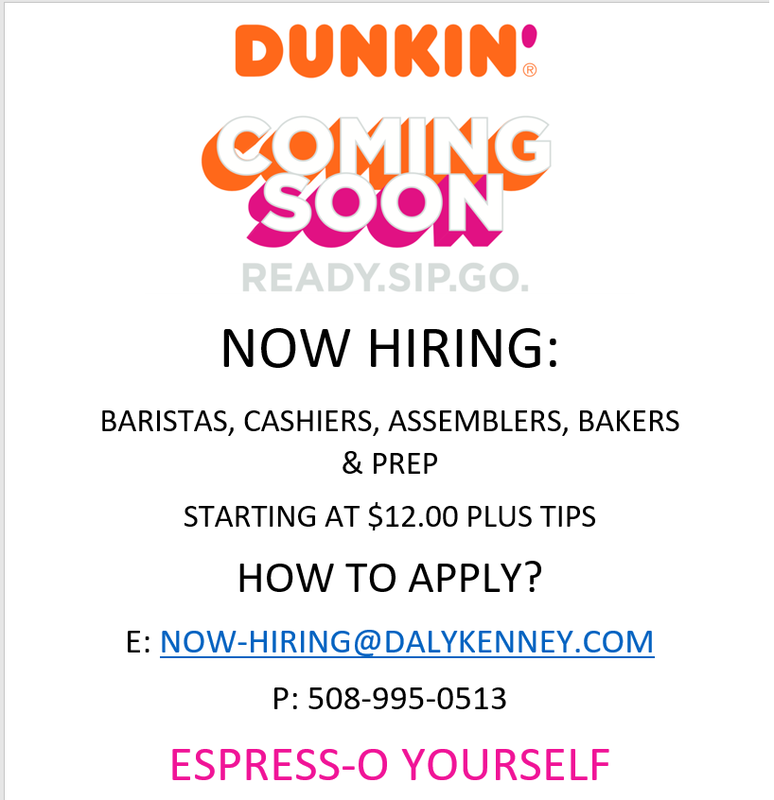 Dunkin’ is opening a new location in the North end of New Bedford is now hiring! The job pays $12 /hour plus tips. Benefits for employees that meet qualifications include: paid vacation and health insurance. Want to apply? Call 508.995.0513 and they will match you up to a store nearest you.